The Anna van Toor shops needed a new concept. 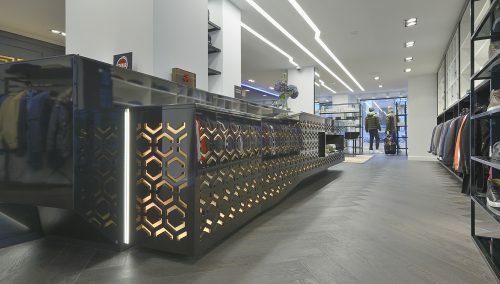 Shop designer WSB was selected for the job. Anna focuses on women, and the binding factor is style. Quality, customer focus and responsibility are the key pillars of the concern. For Anna van Toor IJsselstein, WSB was selected as the shop designer. The renovation round that followed offers more luxury presentation platforms without obstructing the sight lines. This was realised by giving fragile furniture a place. The red shades were replaced by contemporary soft shades. To give the look and feel a luxury and warm character, a golden brass colour was applied. A real upgrade of the look and feel by the shop designer, because WSB Shop Designer does not stop at a new colour palette. New materials and furniture really finish the look and feel,, ensuring it is future-ready. For optimal display of clothing, the designer made use of various presentation furniture in various colours. The furniture is high-end, with materials such as solid oak. The dated look and feel of the red shades was replaced for a warm, luxury look and feel without compromising on welcoming ambiance. 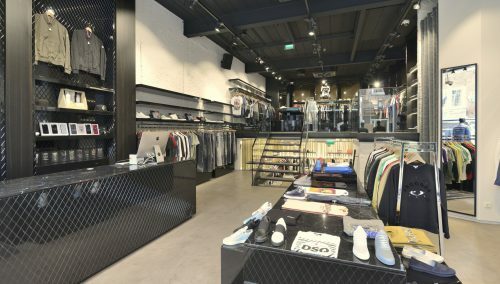 WSB’s retail designers create and realise interior concepts and shop interiors for fashion stores in ladies fashion, men’s fashion, multi-brand stores at mid and top level. Call WSB for an inspiring talk about your renovation plans on +31 33 2771714. WSB is an internationally leading designer of store concepts in fashion, shoe fashion, jewellery and opticians. WSB is active in the Netherlands, Germany, Belgium, Luxembourg and France. WSB works for both fashion brands and individual shops.